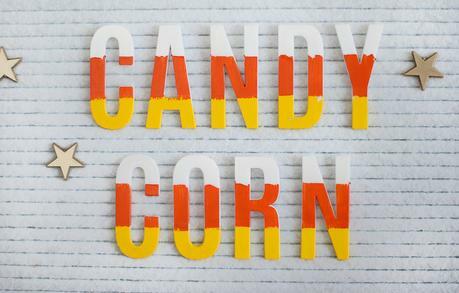 Did you know that today is National Candy Corn Day? 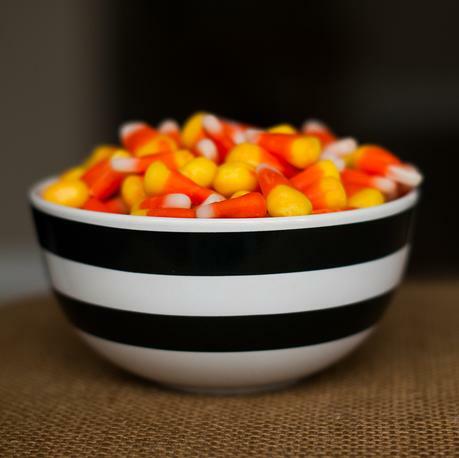 Those that love candy corn, and those that absolutely despise it. 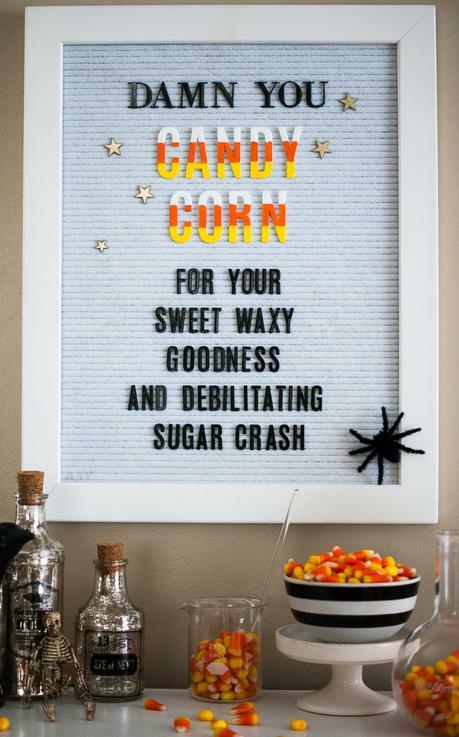 And to celebrate my love for this tooth-achingly-sweet autumn treat, I put together this Letterboard! Wanna see how I created my easy peasy custom Letterboard letters? 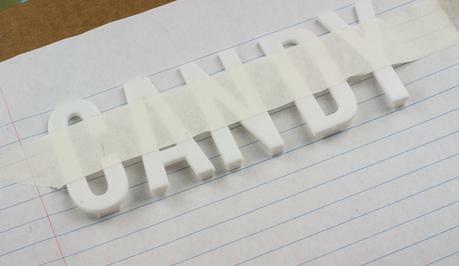 I started by taping off some 2" white letters. 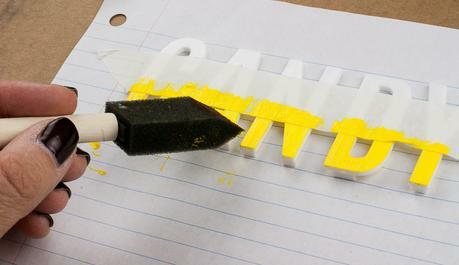 Then, using acrylic paint & a foam brush, I simply painted my letters! It was quick & took almost no thinking. And that's pretty much a prerequisite for my crafting projects these days. 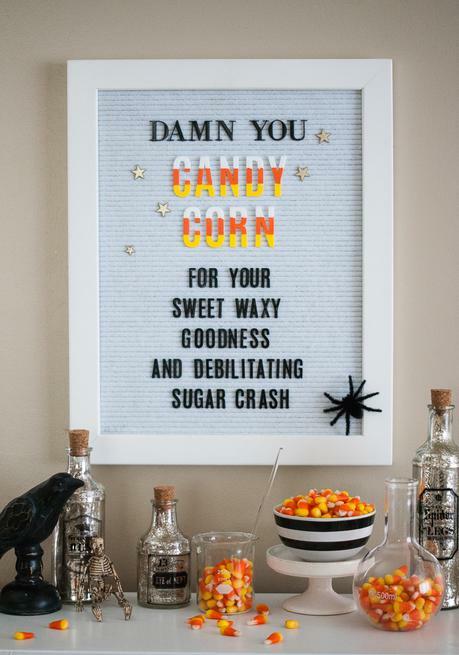 We're having a little Halloween party this year...and this little treats table will be loaded with all sorts of yummies...but the candy corn will definitely be taking center stage.